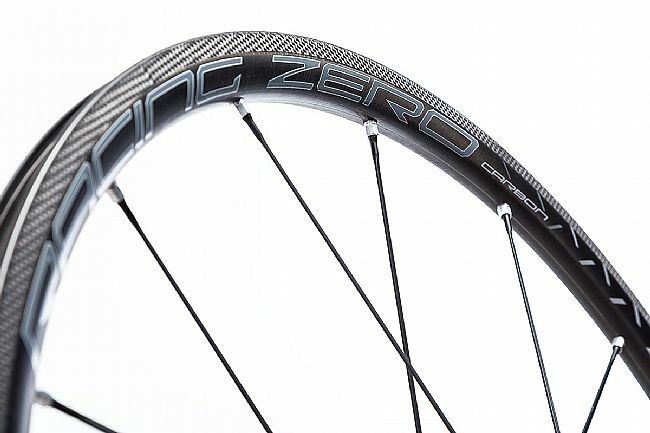 Stiff enough for the harshest racing conditions and light enough to fly up any climb, the Racing Zero Carbon is Fulcrum's top of the line race wheelset now with a carbon rim. 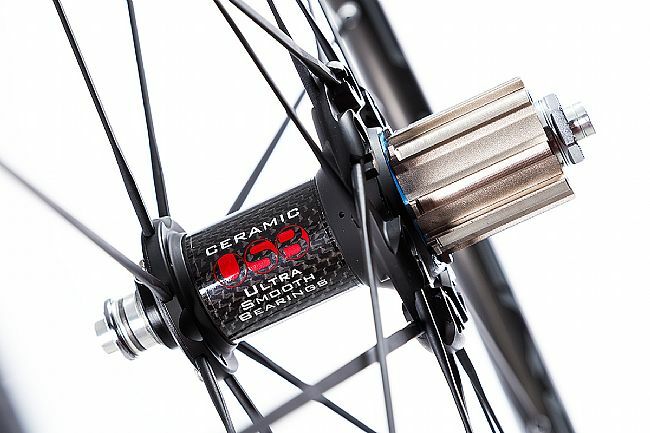 The new version features updated aesthetics, a larger drive side hub flange for more efficient power transfer, Shimano 11-speed compatibility, and a new eccentric quick-release. 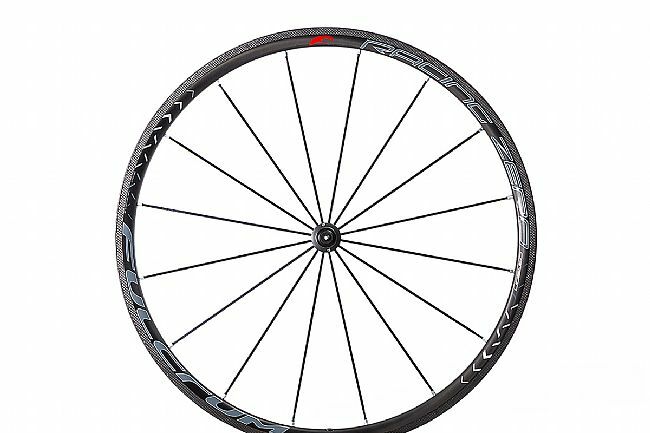 The carbon rims are light and stiff, constructed from unidirectional carbon for optimal power transfer and rigidity. They feature a differential profile of 26mm in front for steering precision and 30mm in the rear for greater durability and stiffness. The rim's upper bridge has no spoke holes, increasing stiffness and shaving valuable weight by not requiring a rim strip. 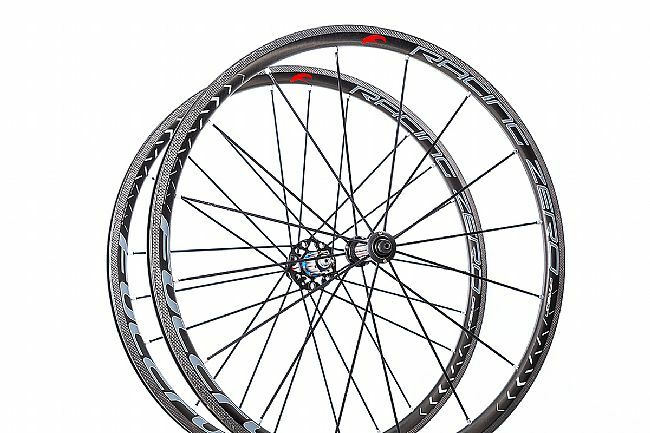 16 aluminum spoke radially laced front wheel, 21 spoke rear featuring Fulcrum's 2-to-1 lacing technique. Aerodynamic spokes maximize efficiency in all conditions. 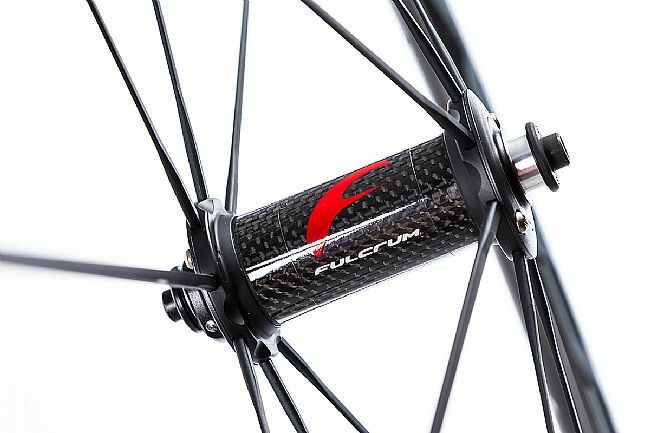 Fulcrum uses specially designed hubs featuring carbon bodies and oversized alloy flanges for the ideal combination of weight savings and stiffness. A new a larger drive side hub flange offers more efficient power transfer without a weight penalty. Adjustable hi-precision ceramic ball bearings ensure silky smooth performance and outstanding wear resistance. 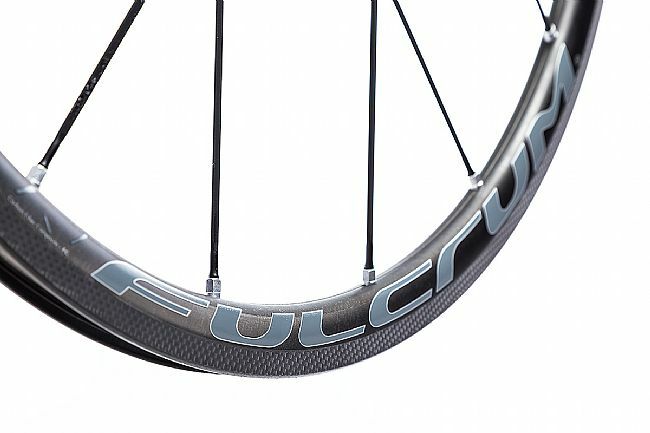 Like the entire Fulcrum range, Racing Zero wheels incorporate patented Dynamic Balance: Fulcrum's precise engineering carefully distributes the rotating weight of the wheel evenly, allowing for crisp and predictable handling at the lowest possible weight. Designed, tested and manufactured by Campagnolo. 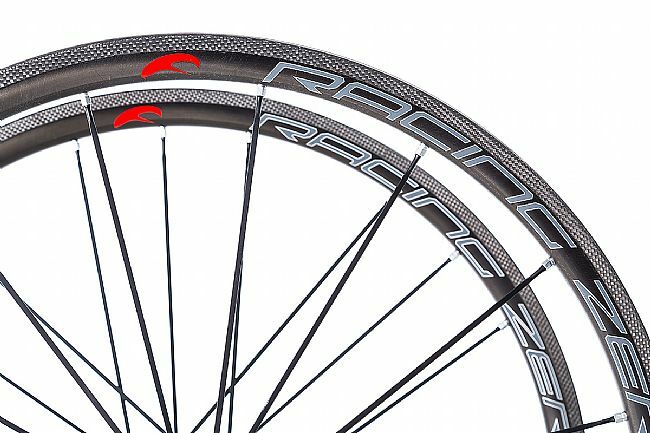 The Fulcrum Racing Zero Carbon Wheelset is available in Shimano/SRAM 8/9/10/11 speed or Campagnolo 9/10/11 speed compatible versions. Color: Black with silver graphics. 1358g per pair (weighed without included skewers). Also available separately with 2-Way-Fit road tubeless compatibility.